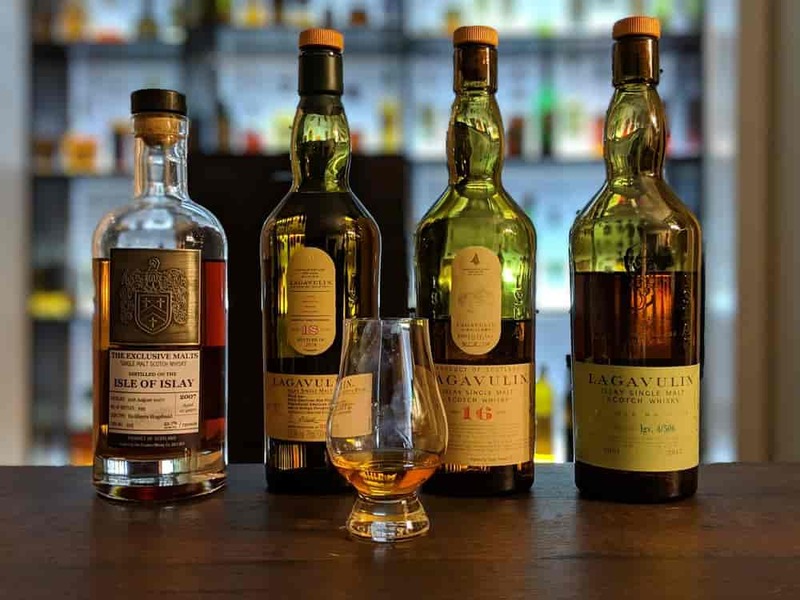 One of our favorite ways to taste whisky is doing a vertical tasting (a wine term for tastings of different vintages from the same winery) to really determine the nuances that exist between different bottles. 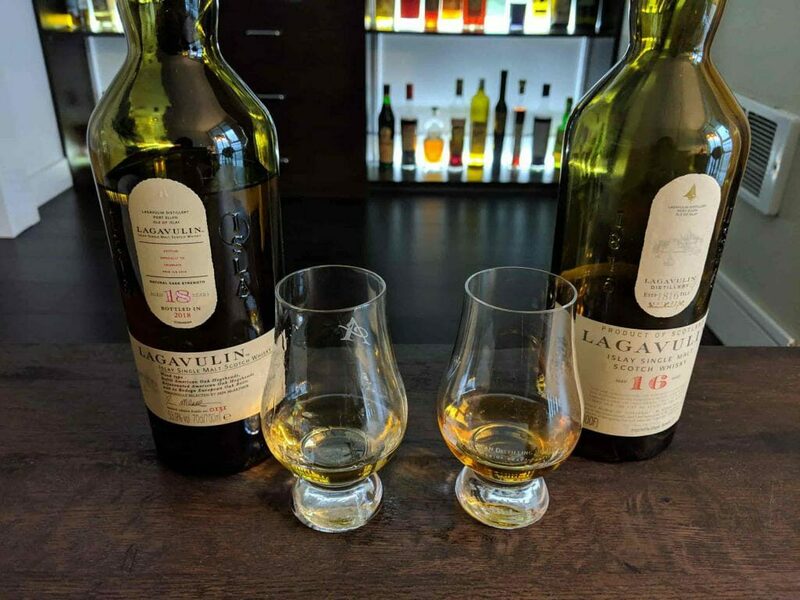 Because we love Lagavulin almost as much as Nick Offerman (side note: the marketing sharks at Diageo are reportedly coming out with a Nick Offerman Edition aged 11 years), we started out our vertical tasting journey with Lagavulin. 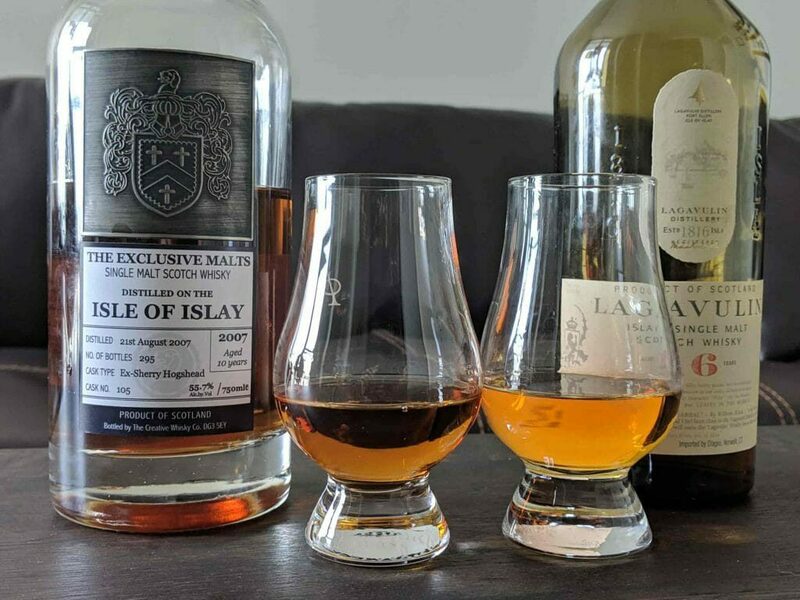 We will be adding to this article regularly, ranking bottles of Lagavulin against the core Lagavulin 16 expression, which may be my personal favorite for a core range expression. The hands-down favorite so far was not bottled by Lagavulin, but instead by independent bottler Creative Whisky Company under Exclusive Malts. Overview: 9/10. There’s a lot going on in this. Some tastes are buttered popcorn, some are red licorice, and all are medicinal. If you like peat bombs and sherry bombs, this is for you. Nose: Rubbing alcohol and sherry, medicinal buttered popcorn, and the buttery smell of cherry red licorice twizzlers at the end combined with light fragrant wood. Like smelling a Scottish warehouse. Some cold cave must but also lovely sherry notes. Palate: Spice(!) with buttery popcorn and chocolate. Heavy sherry influence with dark fruits and caramel on mid-palate. Some cinnamon red heat without water, but it’s not a bad heat. Wonderful oily mouthfeel. Full write-up and details about the bottle here. Overview: 9/10. Complex smoke that turns more lemon meringue as you sip. Makes the Lagavulin 16 taste almost saccharine in comparison. Nose: On its own, it comes off as musty tea leaves, Chinese medicine store, meat, and seaweed. But after you get used to the smoke (or you have been drinking other whiskies) it becomes a lot sweeter – and the lemon and vanilla meringe come through, with some anise and raisins. Palate: It is surprisingly light at first (after resting for a few minutes), with vanilla and lemon meringue, before an envelope of smoke, soy sauce, and wet rock quickly surrounds the tongue. There’s a smoked and nutty (walnut) aftertaste with a whiff of herbal caramel and pepper. Overview: 8/10. Wonderfully creamy and oily, with an excellent balance between peat-and-sweet. This is probably my favorite core expression from any distillery. Nose: Sweet honey glazed barbecue sauce, yeasty fino, barley, wet fall leaves, smoke but not the rubber glove type. Once your nose gets acclimated to the smoke, you start smelling some raisin and caramel. Palate: Oily and creamy. Instant smoke bomb with leather, caramel on the next sip, with dark fruits and dulce de leche, before seaweed and cold smoke. Finish is long and dry smoke, which counteracts the creaminess on first-hit. Overview: 7/10. Really good, but it tastes light in comparison to the 16, and I much prefer the punchier and oilier Lagavulin 16. Nose: Farther away, you smell coconut, fresh zesty citrus, and lemongrass. It comes off lighter and brighter than the Lagavulin 16, which noses comparatively darker and richer. As you bring your nose closer, the barbecue sauce, candied red apples, and smoke come through. Palate: Vanilla, barbecue, sardines, salt. There’s a small hint of medicinal cherry, but it quickly fades into smoke. 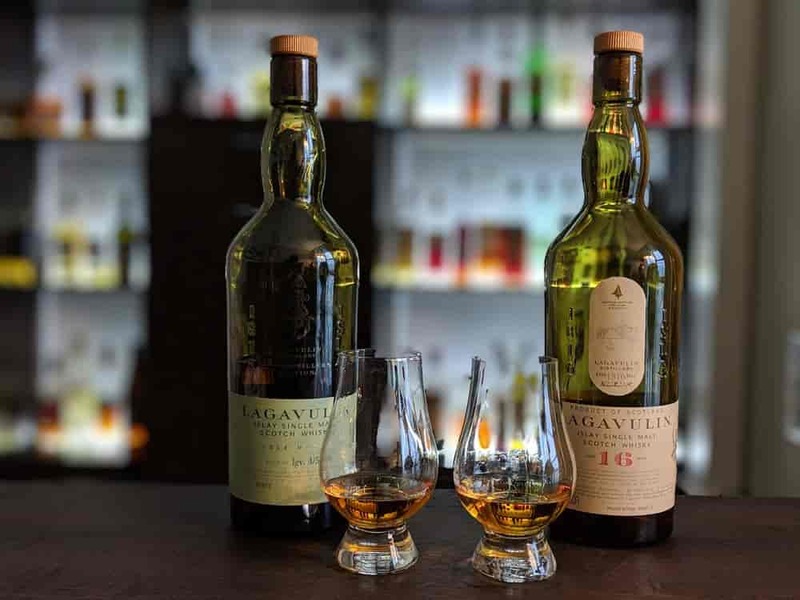 You’re left with a whisper of lingering dry smoked oak and cigars, but without the creaminess and directness of the Lagavulin 16. But when I taste it (without the Laga 16 reference point) it’s still a “wet” type of dryness.